Since arthritis can't be cured, regular medical care from a family medicine and sport medicine specialist is crucial for patients' overall health and comfort. 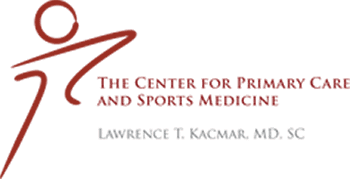 Dr. Lawrence Kacmar, MD, provides arthritis care to residents of Aurora, Illinois, at the Center for Primary Care and Sports Medicine. The term arthritis is a sort of catch-all used to describe joint pain or joint disease. This condition can occur in people of any age and is quite common, especially among older adults. Some types of arthritis are more common in women than men. 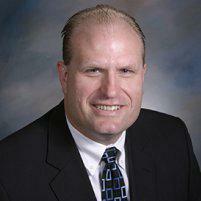 Arthritis can be very debilitating and can limit people's ability to work or even conduct activities of daily living. What Are Some Different Kinds of Arthritis? Osteoarthritis is the most common of the more than 100 kinds of arthritis; it results from gradual wear and tear on the cartilage that cushions joints. Inflammatory arthritis, as the name implies, causes the immune system to attack the joints as if they were an infective agent like a bacteria; rheumatoid and psoriatic arthritis are examples. Arthritis can also be caused by an infection or result from a joint injury. Typical symptoms of arthritis include joint pain and stiffness. Some people develop swollen joints, and different kinds of arthritis can have different effects, like causing heart, eye, lung, kidney or skin damage. Symptoms often come and go, and may range from mild to severe. Many patients have essentially the same symptoms for years, while others get worse very quickly. In many cases, arthritis gradually gets worse over time. Arthritis can cause visible joint damage and changes that can be seen easily -- like knobby finger joints -- or may be visible only on X-ray. Medications for treating arthritis vary according to the kind of arthritis, but some aspects of arthritis treatment are the same in most cases. For example, balancing activity with rest helps to keep joints flexible but prevents too much stress from activity. Heat and cold, either separately or in alternation, may help reduce pain and swelling. Exercise can help strengthen the muscles that support the joint. Patients must also learn to avoid repetitive movements, which can cause cartilage between the joint to wear faster.